With one single goal: speaking to the hearts of the people in the audience. Because people come to see you as a person. And there is only one you, right…? Wrong: there is only one ‘you at this moment.’ Each time people come to see you, you are different. So there are in fact many ‘you-s.’ It’s like eating an apple. You can eat an apple many times. But you can eat this apple only once. If you eat this apple this way, it becomes quite a different experience. Much more ‘open’ attention is involved. Thereby, the apple becomes tastier, more interesting even. Eating this apple is each time again a new experience, while eating an apple many times may only be good for carrying on to the next one. 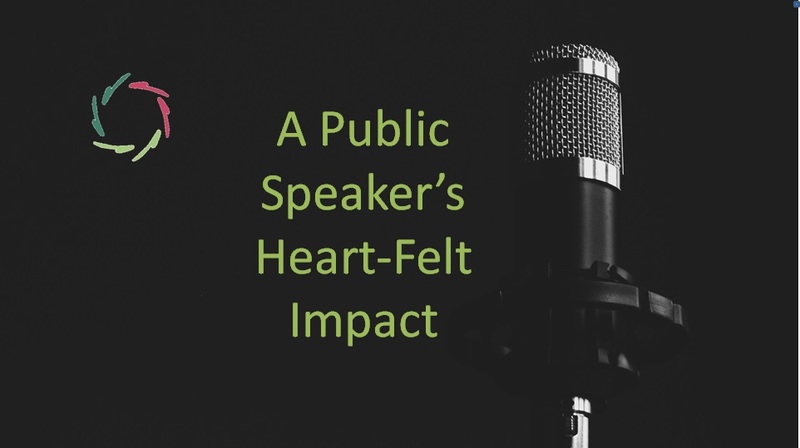 So, would you like to be this speaker that people come to listen to? Then forget techniques. In order to inspire, you need to have your heart on stage. And for this, you need to ‘forget’ techniques in a transition to, well, ‘art.’ One can recognize it in any great artist. Also as a speaker, it’s a nice endeavor to try and put some art in your performance, isn’t it? This is not about ‘bringing show on stage’. Some cultures favor ‘show on speaking stage’, while others do explicitly not like it. Art – I mean in a general sense – may transcend every culture. May then the art of speaking internationally have some influence on bringing all peoples together? A very nice thought indeed. According to me, it’s also realistic. Let’s look at the subject by examples now. One example: the power of silence-on-stage. As a speaker, you can ‘command the audience with silence.’ This can be done technically: silence as in no-sound. With heart involved, however, it’s more about the fullness of this silence. This is something you can give attention to. Silence then becomes a medium full of communication even if it takes only seconds. ‘Forget’ the technique. ‘Be’ the silence. Another example: some tend to say annoyingly many ‘euh-s’ on stage. A technique may be to learn to be attentive and try to not say ‘euh’ anymore. But, from your heart, why do you say ‘euh’? One of the reasons may be to avoid silence. Thus: if you let the silence speak, if you let it be filled with meaning – a heartful endeavor – you will notice that the ‘euh’ may be needed less and less. Even if an ‘euh’ pops up sometimes, it’s an old acquaintance. You may smile in recognition. As a third example indeed: smile. One can smile on stage as a technical thing to do. As in “Oeps, I need to smile.” Then your brain is smiling. But your heart? It’s different when you invite yourself to smile. Invitation = freedom. So, if you invite yourself and the smile doesn’t come… why? And if it comes… how? These are very important questions you can ask yourself. If you answer them ‘from the heart’, next time your smile will be so much more beautiful and powerful. You are missing all this if you get stuck in technique. 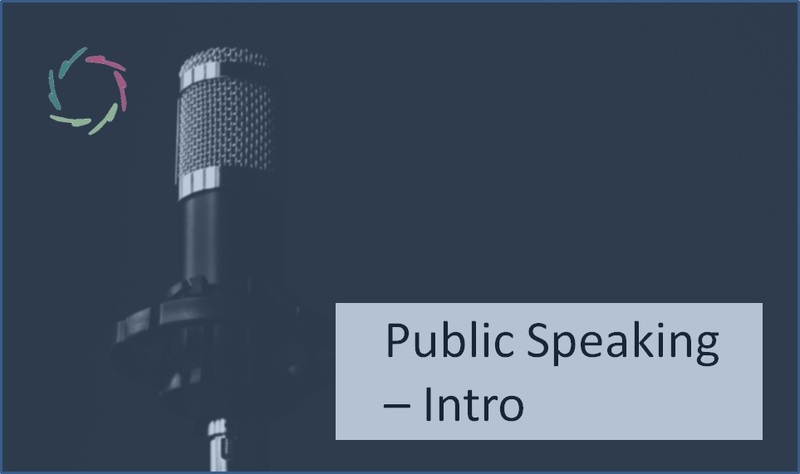 Additionally, you may hit the proverbial wall of progression in your speaking skill. After tons of research, the main characteristic of a true leader boils down to authenticity: openness to and from the heart. The same for a speaker, a leader of the audience. Of course, ‘not using techniques’ may strictly speaking be seen as a technique itself. In the end, not the techniques bring tyranny, but: slavishly following them. If techniques are standing in the way of heart to heart communication – on stage – then it’s better to ‘forget’ them. Like salt dissolving in water: the salt disappears yet it doesn’t. It becomes different. 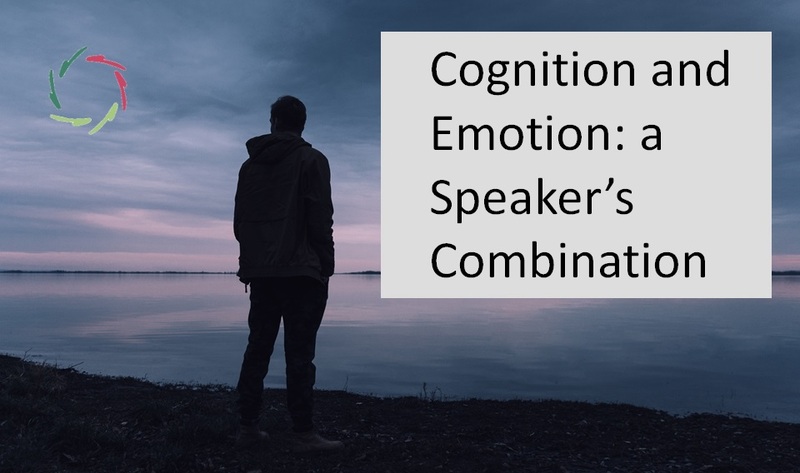 As a speaker, you too can become different this way, again and again. You can ‘become the transformation that you want to inspire in your audience’. 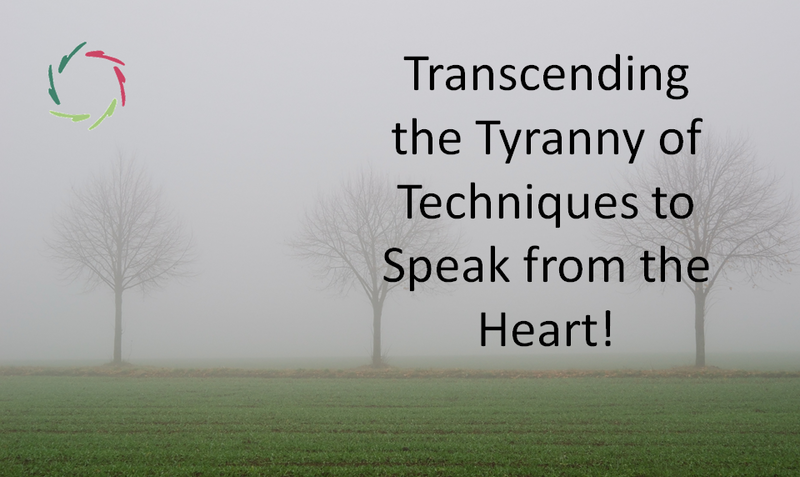 What is eventually more transforming than the heart itself…?